Can I save filters to easily reuse them later? 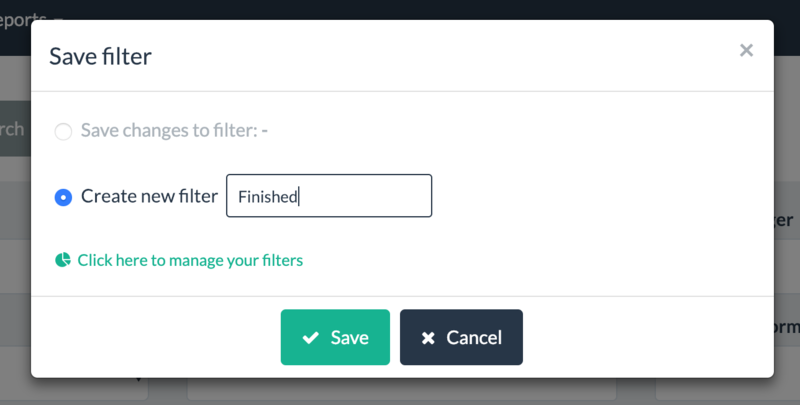 Yes, you can save as many filters as you wish. 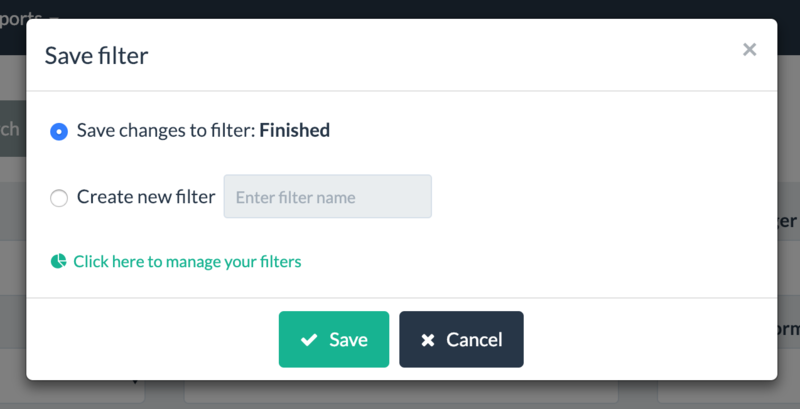 In LSP.expert, you can save as many filters as you wish to easily reuse them later and switch from one filter to another. To apply one of them, just click on it. To 'unapply' all the filters (so to return to the unfiltered view), click on 'View all'. You can save filters for each page and each report in LSP.expert. Once you've applied a filter, click on 'Save filter' to save this filter. You can change the names of your filters and delete them under Settings > Filters. To do that, you first have to select a page or report in the system. In each page or report, the saved filters are displayed like this.